Single stage, end suction, volute casing ISO EN 2858 DIN 24256 standard pumps. 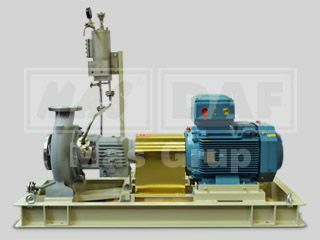 Centerline mounted, single stage volute casing pumps with mechanical seals and heating jacket (Centerline mounted model). Single suction, radial and mixed flow closed type impeller is equipped with back wear rings to balance axial loads. Impeller is also balanced dynamically according to ISO 1940-1 G6.3. Pump and motor are coupled on a rigid frame by using elastic or Atex certificated couplings. Pump shaft, impeller, bearing housing and other components can be dismantled without removing pump casing. Thus maintenance and assembly operations can be easily performed. By using spacer coupling it is possible to dismantle pump without removing motor. 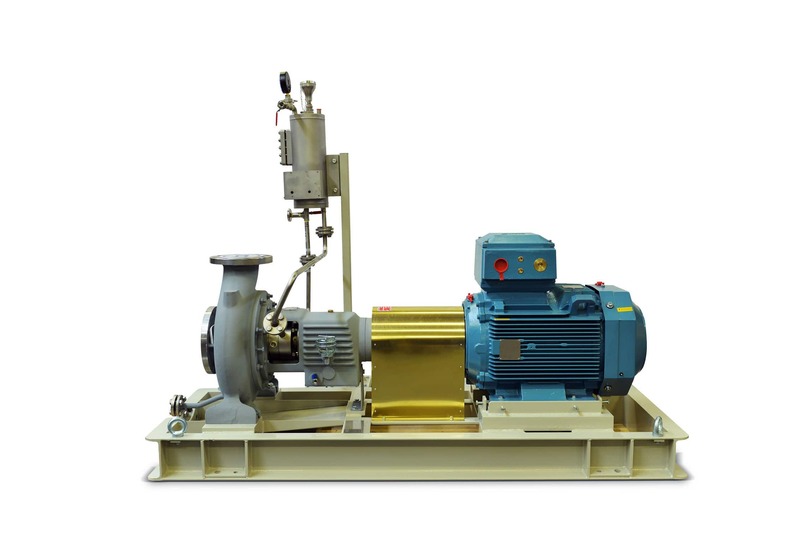 Same components can be used at maximum versatility and they can be used in pumps at different dimensions so it is easier to store spare parts and change pump components. Flat gaskets are used instead of elastomer o-rings between volute casing and rear cover (stuffing box). These pumps can be produced with heating or cooling jackets optionally.